Before you know it, the young people in your life will have to make decisive choices about their future careers. Here are a few things to keep in mind as you support them through this process. 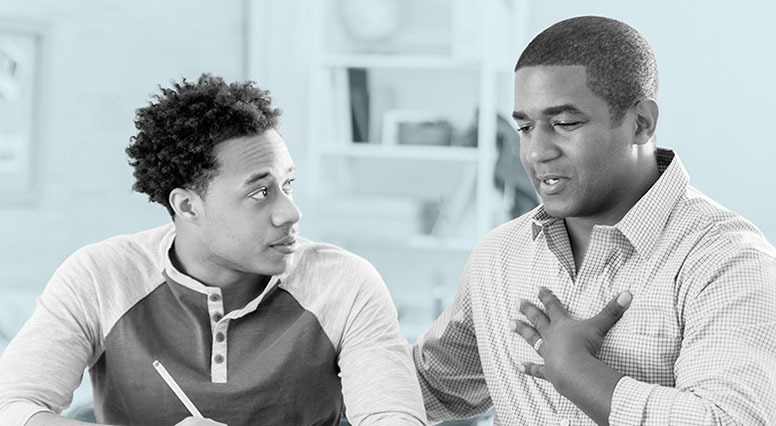 Whether you are a parent, step-parent, uncle, aunt, grandparent or friend to a young person, you’ll be one of the first people helping to guide them in choosing their career. These are only a few examples to help young people understand that their talents and passions can lead down many different roads. Even activities that are a bit more “controversial” in the eyes of an adult! Don’t forget that there are certain careers that are much more well known than others... and some lesser known careers that should be suggested more often. Listening is the best way to encourage a young person to talk. Give them the space they need to express their wants, as well as their fears and their questions. Coach them by asking the right questions, with the goal of guiding their reflection without influencing it. It’s possible that you have your own ideas about the path that a young person should take. Make sure that you are open to whatever might come out of these discussions. It’s important to put aside any reservations you might have. The choices that you made yourself, whether you think you made the right decisions or if you have regrets, can affect your judgement. Be very careful to not put pressure on the young person. Whether their studies will be fully paid, or whether they will need to take out loans to cover some of the costs, it’s important to talk about money. Education costs can vary significantly depending on the number of years of study and the area of study and young people should be aware of the financial impact of their choices if they are going to go into debt to pursue post-secondary education and move away from home, for example. Talk to them about the reality of the job market, the rate of employment, salary scales, and lifestyle choices for the career they choose (schedule, type of company, location, where the jobs are, etc.). To expand their horizons, you could encourage them to visit universities or colleges, participate in youth career programs, or in student-for-a-day programs, talk to adults they know about questions they have and search online, where they’ll find tonnes of information about career possibilities. We say that it “takes a village to raise a child.” You have the privilege of being part of that village and guiding a young person in their plans for their future. By putting your trust in them and listening to them, you’ll be helping to raise a responsible, passionate adult.